generosity and we - hopeandgives Webseite! Let me confess that I like the poetry of Pablo Neruda. But after this quote I remembered Lao-tse: What we do not want. does not want us. So: Let us not forget, even not with generosity, Those Who Can not love us. Also applies to our projects. 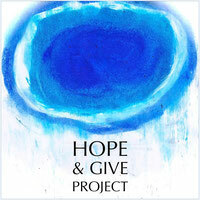 We are experiencing right now with our crowdfunding for "HOPE% GIVE" how many people support us generously. And we are experiencing people who remain silent. Maybe because they do not love the project. Or us. 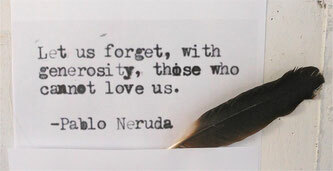 In this case, Neruda does not help us. But Lao-tse.